The Alfred Health Clinical School provides an environment where academics, clinicians and students work together. Students are given access to expert clinicians and challenging clinical placements. Clinicians are given the opportunity to provide education and be involved in research. Academics are given access to clinically relevant research questions and multidisciplinary teams. Promote interdisciplinary and inter-institutional collaboration in health care delivery and research. Establish a reputation as a leader in research. Establish a leading centre for honours and postgraduate research. Establish a centre of excellence for undergraduate and postgraduate education in nursing and allied health. Develop clinical consultancies around areas of clinical practice. Nursing & Allied Health undergraduate students are allocated to the metropolitan clinical schools during their final 18 months. The Alfred Southern Clinical School Network region includes Alfred Health, Monash Health and Peninsula Health as major public health care provider partners for clinical placements. The Clinical School also provides a venue for professional development activities offered to our clinical partners by La Trobe University. Facilities include classrooms, computer lab, student common room, laboratory and lockers. Undergraduate students currently attend the Clinical School in the semester two year two and all of year three of a Bachelor of Nursing degree. The school offers honours research opportunities. Nursing education lecturer practitioner roles, combine academic, teaching and research with clinical practice. These position are joint appointments between Alfred Health and La Trobe University. La Trobe University's professorial appointments in Nursing and Allied Health aim to facilitate and grow the clinical research program across Alfred Health. AProf Bill McGuiness, AProf Anne Holland, Professor Meg Morris and AProf Natasha Lannin provide supervision and mentoring to nursing and allied health clinicians and research higher degree students undertaking research projects in a clinical setting. The Alfred Health Clinical School is in a unique position to enable the effective translation of research into practice through collaboration between the clinical school and the surrounding external network. Associate Professor William McGuiness leads the Nursing research program within the Clinical School. Dr Connie Koklanis, Head of Clinical Vision Sciences at La Trobe University, leads research focussing on models of eye service delivery. In collaboration with the Head of the Orthoptics Department at Alfred Health, Danielle Thorburn, the impact of workforce reform and the implementation of innovative service models are being evaluated. Stuart Keel, a lecturer at La Trobe University, is also affiliated to Alfred Health and involved in eye care services led by allied health practitioners and specifically orthoptists. 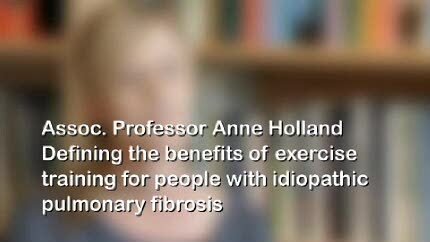 Associate Professor Anne Holland, Clinical Chair in Physiotherapy at Alfred Health leads a research program that aims to optimise health and wellbeing for people with cardiorespiratory disease. Anne's current research projects are investigating new models for pulmonary rehabilitation, including low cost home-based models and telerehabilitation, as we as defining the benefits of pulmonary rehabilitation in new populations such as interstitial lung disease. Associate Professor Natasha Lannin holds a clinical joint position at Alfred Health in the Occupational Thearpy Department. Natasha leads a research program focused on neurological rehabilitation as a means to improve quality of life. Natasha's current collaborative projects include investigating predischarge occupational therapy home visits, the management of contracture, spasticity and upper limb function in people with neurological conditions, and intensive therapy programs to improve upper limb function and dexterity. Natasha is leading a key project on "improving rehabilitation and disability management", a key priority of the Neurotrauma strategy. She is also a principal investigator of the Australian Stroke Clinical Registry (AuSCR), monitoring quality of acute stroke care in Australia. Professor Meg Morris is a world leader in research and clinical practice pertaining to physiotherapy, therapy outcome measures and technologies for older people, especially those living with neurological conditions such as parkinson's disease, stroke, TBI and dystonia. She has particular expertise in how smart technologies can re-enable frail older Australians to live safely and well at home and in the community. She also leads research and clinical practice on physiotherapy for people with Parkinson's disease, falls prevention, gait rehabilitation, physical activity and health related quality of life. Dr Audrey Tierney is a senior lecturer and researcher in Dietetics and Human Nutrition at La Trobe University and a senior clinical dietitian at Alfred Health. Audrey's research projects and clinical expertise is primarily in investigating the effects of dietary interventions in metabolic health translated to the clinical setting. Audrey's clinical research also involves observational and clinical trials in both the Intensive Care Setting and in Respiratory Medicine. Audrey's current collaborative projects include investigating the effects of a Mediterranean Diet on patients with Non Alcoholic Fatty Liver Disease and in post-acute myocardial infarction; the effects of a dietary intervention and "Coaching" model in obese pregnant women and in cancer survivors with the metabolic syndrome. Audrey is also researching the effect of intestinal permeability in the critically ill populations. She is supervising honours, Masters and PhD students at La Trobe and Alfred Health.